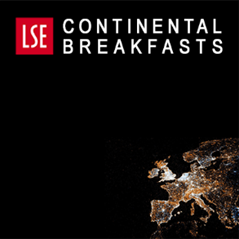 In the third of LSE’s Continental Breakfasts – held under Chatham House rules, so participants can speak as freely as they wish – a roundtable discussed the immense challenges facing Whitehall as it gets to grips with Brexit. Philipp Dreyer reports on some of the key points. The task Whitehall faces in delivering the government’s Brexit strategy is immense and unprecedented. Not even the Prime Minister’s abundant confidence has been able to dispel doubts as to whether Whitehall is adequately prepared for the task— and with good reason. One problem is Whitehall’s shortage of capacity and expertise. There are not enough trade negotiators, economists, and policy analysts to successfully handle Brexit negotiations and simultaneously develop a coherent domestic policy strategy. A second problem is the lack of coordination between different ministerial departments, the Cabinet and the wider public. Partly to blame is the creation of the Department for Exiting the EU, which has led to an inefficient division of responsibilities and sub-optimal working relationships in Whitehall. One participant mentioned strong tensions between DExEU and other departments at Whitehall, which are frustrated by the lack of competence and collaboration. The result is an increasing gap between civil servants, who are acutely aware of the complexities involved in the Brexit negotiations and the enormous requirements of structural reform, and ministers, who display bottomless optimism and even cockiness about the future of Britain outside the EU. A growing concern here is that the FCO, the Bank of England, and the Treasury have been sidelined during the Brexit process. Participants suggested that the government’s Brexit strategy could be delivered more effectively from the Cabinet Office, but with continuous involvement from the Treasury and the Foreign Office. Why does the government not engage more systematically with public actors, such as industry experts, policy analysts and economists, given Whitehall’s lack of sectoral expertise and capacity? 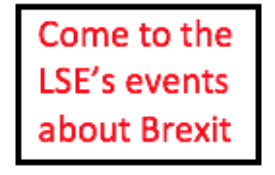 One participant voiced concern that offers by industry experts to help with Brexit negotiations had been ignored and declined. Others commented that businesses needed to put more pressure on the government and become more involved in trade negotiations through Brexit advisory groups. By marginalising experts, Downing Street is avoiding the key question: where is the economics? Addressing that question will be difficult, and the answers are unlikely to be the ones the government wants to hear. The enormous scale of complexity of taking Britain out of the EU means that little will be settled by ‘Independence Day’. The current lack of public engagement can be partly attributed to the government’s fear of revealing its negotiation strategy. This resistance to openness, however, is ill-founded and cannot be sustained for long. Because of the EU’s commitment to full transparency and the need to communicate among 27 member states, negotiations will largely take place in public. Pressure on the government to communicate a clear Brexit strategy will also grow as the country heads towards an uncertain future. Third, there is little clarity on what the default option of reaching no deal at the end of two years would entail for the UK and the EU. 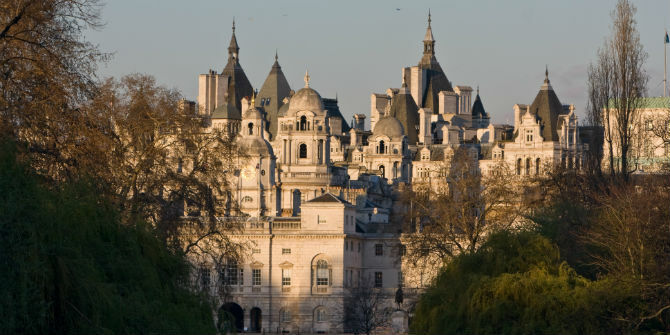 Improvisation, rather than deliberation, appears to be Whitehall’s current approach. Given these challenges, it is not surprising that little progress has been made since the referendum. The post-Brexit transition phase will probably be lengthy and aimed at preserving the status quo. Theresa May could do more to equip Whitehall with the necessary skills and infrastructure. For now, however, the prospects of getting more clarity on the government’s positions on Brexit are slim. Take, for example, the UK’s agriculture and fisheries sectors. Despite their relatively small share of GDP, the political complexities involved are enormous. Regional governments are already asking for assurances of a new financial settlement from the Treasury, anticipating a major shortfall in funding when subsidies from the Common Agricultural Policy dry up. The devolved administrations of Scotland, Northern Ireland, and Wales may threaten to block new trade deals with the US, Australia and New Zealand if no efforts are made to assuage fears that cheap imports from abroad will undercut the regional fisheries and agriculture sectors. These issues are compounded by uncertainty over whether Brexit means a new hard border in Northern Ireland. Donald Tusk has emphasised the EU’s continued support for the Good Friday Agreement and its commitment to avoiding a hard border in Ireland. How such a soft border would be managed in practice, however, is not clear. The consequences of the UK leaving the customs union will be serious. The Northern Ireland economy relies heavily on food and drink imports from its southern neighbour, which will be subject to high tariffs when the UK leaves the EU. The need to forge new trade deals will also be a key task for Whitehall when Britain leaves the EU. Ideally, trade negotiations are conducted using a standard tool of economics – game theory. Different countries’ priorities need to be assessed prior to negotiations to identify the win-win, lose-win, and lose-lose scenarios. The departure point of the Brexit negotiations must be a careful analysis of how the default option of reaching no deal will affect both the UK and the EU. The government should then set out a ‘no deal’ Brexit contingency plan to facilitate a more sensible and perhaps stronger negotiation strategy. Although the government has laid out a clear trade policy strategy in a recent IFG paper, Whitehall‘s shortage of economic expertise and capacity mean that negotiations cannot be led in such a rational and well-considered way. Even if the positions of the 27 EU member states were known in detail, the task of aggregating and weighing these positions up properly requires heavy political analysis, which is short in supply. Instead, a hand-to-mouth approach is likely to prevail. One participant noted that trade constitutes just a small part of the negotiation process, as the outcome of Brexit will depend on over a thousand other international agreements that are separate from trade. In addition, the CBI has estimated that Britain will need to set up over 34 domestic versions of the EU regulatory watchdogs to be able to continue trading with the EU post-Brexit. A new agency that scrutinises regulatory changes and resolves disputes will also be necessary. Participants agreed that the Great Repeal Bill will achieve exactly the opposite of what it promised: Brexit will lead to a substantial increase in red tape. All policy areas currently regulated by the EU will need to be replicated, as competition rules will apply to both EU and UK levels. The extra regulation will be a burden on the economy, and the only silver lining will be the sharp increase in business for the big consultancies. Will divisions between the 27 EU member states give May an advantage in the negotiations? A recent study of MEPs’ attitudes in the 2014-19 European Parliament finds that the EU‘s member states are divided on many immigration-related issues, such as plans to establish a common EU policy on economic migrants from third countries or to restrict EU migrants‘ access to public services. In addition, the ruling by the ECJ last week that certain parts of the Singapore-EU free trade deal will require no ratification by individual member states is seen as a boost for the UK government, as it opens up the possibility of striking narrower trade deals in the future. However, attempts to exploit tensions within the EU may backfire. Polls show that the vast majority of EU citizens support protecting the unity of the remaining EU27, rather than building a new economic relationship with the UK. Brexit simply is not as much a priority for the EU as it is for Britain. In the end, the important negotiations are likely to come down to the three Ms: Merkel, Macron, and May. The UK should perhaps not expect much leeway from France, as Macron will be primarily concerned with addressing structural problems in France and the Eurozone to stall the rise of far-right populism. Nonetheless, Macron’s victory is also a victory for the EU, and this may mitigate the need to send a signal to other member states that flirt with Euroscepticism. So we should not to jump to conclusions on what the outcome of the French presidential election means for Brexit. How will divisions within the Conservatives affect Whitehall’s ability to ensure effective and coherent policy-making? Since the referendum last year, observers have noted that the government’s efforts to outline a domestic policy strategy have been surprisingly modest. The government could do much more to alleviate economic post-Brexit uncertainty. A skills strategy, for example, would be important, given the commitment to reduce immigration and that the vote to leave the EU was interpreted as being driven by those who were left behind by globalisation. Yet no skills strategy has been developed so far. Similarly, there are currently no plans for a UK-specific migration policy even though the government has repeated its intention to bring net immigration down to the tens of thousands a year. Nor has a new agricultural policy been worked out. The lack of domestic policy is worrying and highlights at least two major challenges. First, Britain needs structural reforms as it leaves the EU – but the slimmed-down civil service is not prepared to embark on such a large-scale mission when the government has not even outlined a coherent policy framework. Second, the absence of clear domestic policies reveals a deep conflict within the Conservative party between global free-marketeers and protectionists. Philipp Dreyer is a PhD candidate at the LSE. He conducts research on voting behaviour, parties’ election strategies and political representation in Western Europe. John Redwood wrote an article in the FT a few days ago explaining why the UK didn’t need to do any significant contingency planning for exiting the EU. I do find it odd that whether or not we should be planning for Brexit should be contentious especially as we are just 22 months away. My area of expertise is IT: let’s assume one major IT project for each of the 34 agencies plus the huge IT work required for leaving the customs union. The fastest public sector IT project I’ve been involved in was 36 months, the longest over 60 months. So 22 months is a challenge. Under the procurement rules these projects need to be advertised 120 days in advance. No adverts have appeared so we know that procurement has not even started. There is little mention here of a transitional period at the end of the initial two-year negotiating phase. As the complexity of what the UK is engaged in becomes increasingly obvious, it is also increasingly obvious that there will need to be some transitional period after March 2019. David Davis, the Brexit Secretary, seems to be the only major politician who says such a period will not be necessary. However, like much he says, I take this to be a simple negotiating tactic. He, more than anyone, must be well aware that a substantial transitional period will be required. I think David Davis believes that EU membership damages the UK economy. If you believe that then the logic is to end the membership as quickly as possible. It is of course the case that the companies who depend on EU membership will go bankrupt or have to relocate. But a transition period doesn’t really change that, it simply drags it out a bit. The pro-Brexit side are also very concerned that Brexit might be reversed, particularly as the political situation is so fragile. That’s another reason why they are keen to force Brexit through as quickly as possible with the minimum of transition.